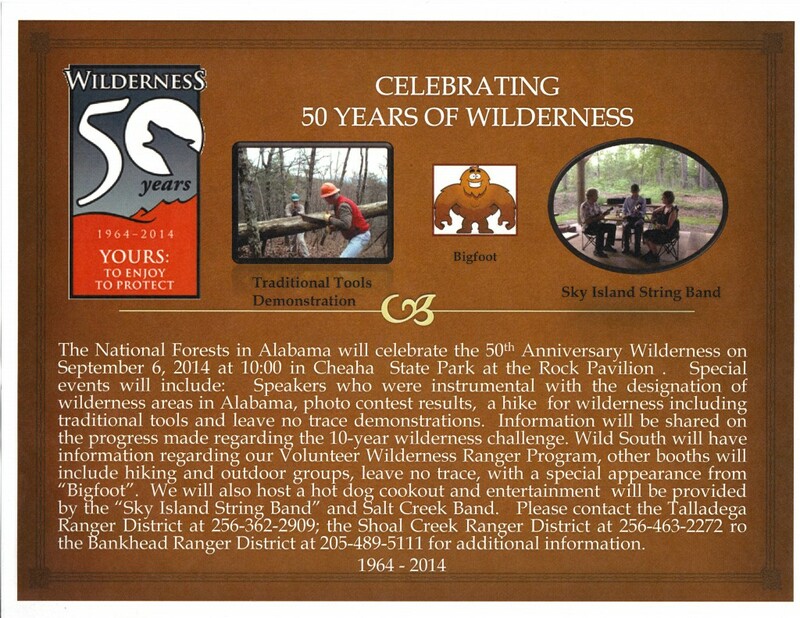 Join us at Cheaha State Park September 6 to celebrate Wilderness! Join Wild South staff and volunteers this Saturday, September 6, at Cheaha State Park as we celebrate the 50th anniversary of the Wilderness Act. Leave a message here if more information is needed. Are you selling 50th anniversary tshirts? Where is the rock pavilion located at ?